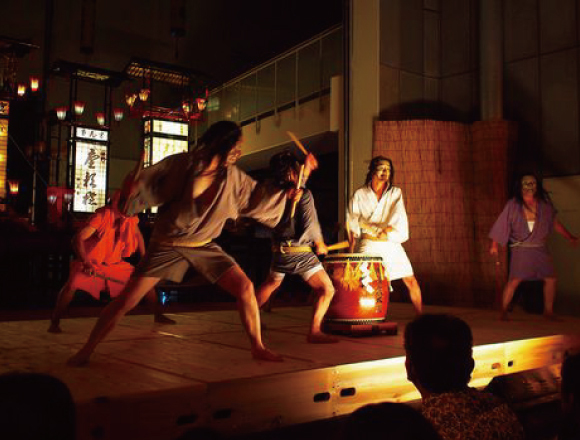 Goshinjo-daiko are traditional, heroic Japanese drums. In 1576, Uesugi Kenshin, a military commander from Echigo area, and his warriors invaded Okunoto area. The villagers in Nafune village bravely fought against them using farming implements such as sickles and hoes, but they lost. This drum performance is based on a historic fact that has been told by old patriarchs in this area. The story is about villagers who hit drums in the pitch-black while making a counterattack on the Uesugi clan wearing masks which were made of tree bark, and wigs which were made with seaweed. When wearing the masks, they called themselves “Goshinjo,” and this traditional culture is still inherited today. The wild drum beats make the ground shake and make audiences excited. 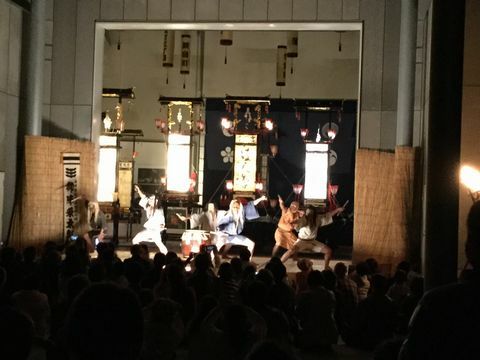 Gojin-daiko is going to be played at Wajima-Kiriko Hall, Motenashi plaza in Wajima Onsen-kyo from the end of April to the beginning of November. Their performance is made up of three-stages called “Jo-Ha-Kyu” which means slowly at first, gradually fast and then very fast at the end. We hope you enjoy the heroic Japanese drums in the night of Noto. ■Related article：20 Year Anniversary of Itsukushima Shrine UNESCO Registration! Experience-based, gold-leaf museum “Hakkokan” was renewed!